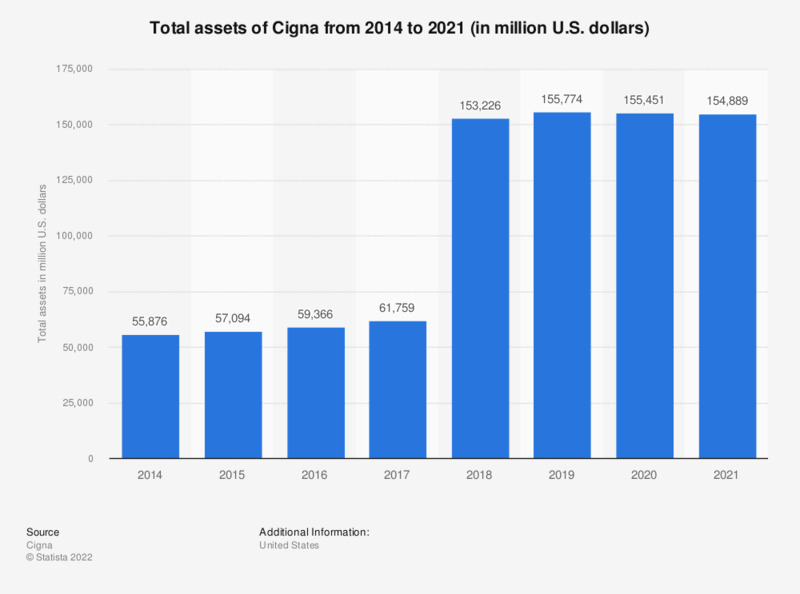 This statistic shows Cigna's total assets from 2014 to 2018. In 2016, Cigna's total assets amounted to approximately 59.4 billion U.S. dollars. Originally, Cigna was a health services company focused on various types of insurances. With the acquisition of Express Scripts in 2018, Cigna also entered the pharmacy services market. Everything On "Cigna" in One Document: Edited and Divided into Handy Chapters. Including Detailed References.